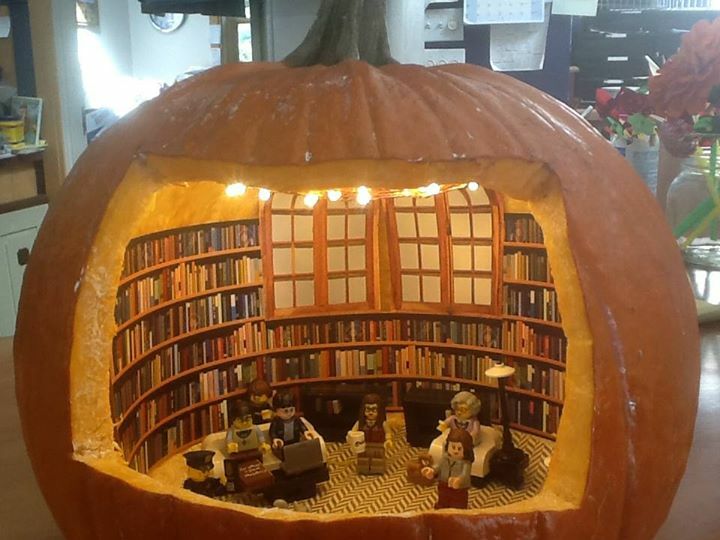 Maybe the Public Library in North Truro, Massachusetts has gone too far. Link thanks to David Crotty at The Scholarly Kitchen. His post gives information about the origin of this inspiring composition from the Planetary Society. If you go to Symphony of Science you’ll be able to listen to many other compositions of this kind. Grenoble, cultured place that it is, has introduced short story vending machines. 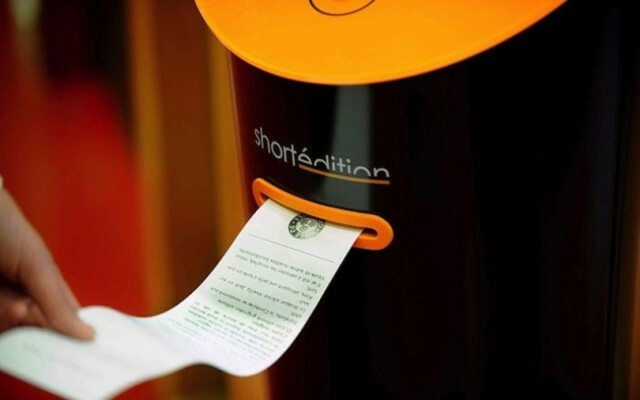 There are eight machines around town provided by the publisher Short Édition who came up with the idea along with the mayor, the Green Party’s Eric Poile. Book Patrol has brought us the glad tidings, made gladder by the knowledge that the stories are available free. A Kickstarter campaign to buy and burn all the books published by Nouvella sounds dumb enough for it to be a hoax. The Observer, in bringing us the story, does conclude that it’s all a sort of joke. Reverse marketing or whatever we might call it. But the campaign really is there at Kickstarter, where it describes itself as the first-ever reverse Kickstarter. The anti-novella campaign is being organized by Globo Books, whose website is suspiciously bare. I find it hard to understand why, but 248 people have pledged $25,337 to help bring this project to life, or is it death? One has to conclude that Globo Books and Nouvella are one and the same, and that the 248 pledges are never going to be collected, having no doubt been pledged by Nouvella employees, friends and family. If any of the pledges are real, persuading people to pay $50 for two books which seem to be published at $13 each, delivered with instructions on how to destroy them, looks like a nice trick for the publisher to have pulled off. Is this good publicity? Well I suppose I, and anyone who bothers to read this post, now know that Nouvella is a publishing company that publishes novellas. Shelf Awareness tells us (back on September 24th) of the imminent arrival of a 50th anniversary hardback edition of this publishing phenomenon. The 50th anniversary edition will be priced at $19.95. The yellow strip shown above is a belly band. 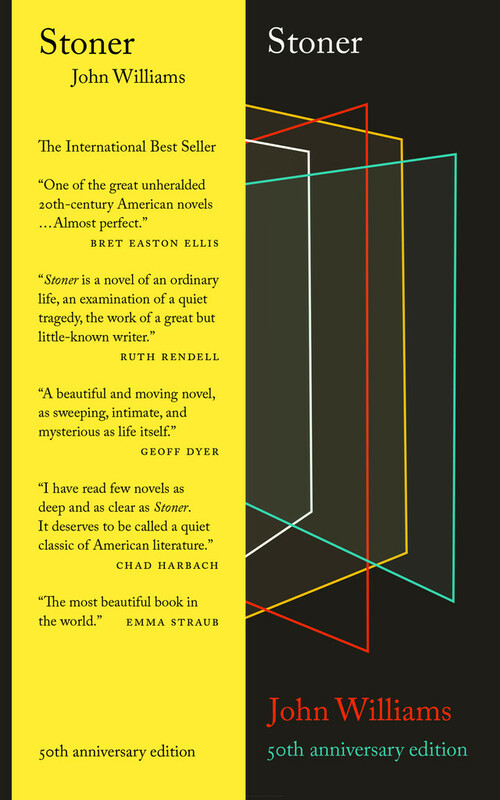 Consequent upon the NYRB publication the novel has been translated into Albanian, Bulgarian, Catalan, Chinese, Croatian, Czech, Danish, Dutch, Finnish, French, German, Greek, Hebrew, Hungarian, Icelandic, Norwegian, Polish, Portuguese, Romanian, Russian, Slovak, Slovene, Spanish and Swedish. In several of these translations it became a bestseller. An unexpected result of the translations was a up-tick in sales of the English-language edition in the countries in question. The NYRB website contains yet more enthusiastic quotes. My review of the paperback edition may be found here. Apparently Romanian law allows you 30 days off your sentence for every book you publish while in jail. Naturally jailbirds are beavering away. The Balkanist provides some details. One of the scams available to well-off politicians and business tycoons who are being jailed in a corruption clean-up, is to hire an “academic research consultant” who does “research” for you. These ghostwriters submit their “research” which the prisoner then copies out. The law naturally requires that the book should be your own work, and sufficient evidence for this is that it’s written out in your own handwriting. As prisoners are not allowed access to a computer, and library facilities in the clink are rudimentary, this is obviously a good route for those who can afford it. After the manuscript has been completed a tame publisher will print a handful of copies which are presented to the parole board, who tend to have no criteria for judging what’s good or even original. It is estimated that since 2014 157 such books have so far been published, with up to five coming from some authors. Clearly the print book is alive and well in Romania. Such forces of reason as exist are determined on reform, and hope to reverse the law permitting this “Get out of jail” card. A mackle must be a close cousin to a pre-kiss, though I guess a blurred impression could be produced also by the sheet moving while still in contact with the printing surface, rather than by hitting it twice. I’ve never heard the word in a printing context before — or in any other for that matter, except in its sort of negative form: immaculate. Oxford Dictionaries tweeted the word recently as one of their Daily Word series. There may have been one or two circulating libraries in Britain in the seventeenth century but they really became established in the 1720s. The poet Alan Ramsay was renting books from his Edinburgh bookshop in 1725, generally credited with being the first such commercial library. A circulating library is simply a commercial library, where readers can rent a book, on a book-by-book basis or more commonly with an annual subscription. Fines for late returns would represent an income stream too. “The era of the great circulating libraries — Bell’s, Lackington’s, and Lane’s — coincided with the rise and development of Gothic fiction” Franz J. Potter tells us in The History of Gothic Publishing, 1800-1835, (Palgrave Macmillan, 2005). The website British Circulating Libraries 1725-1966 tells all about them. At their height they were purchasing a substantial proportion of the books printed — often 40% of the run, and with Gothic novels (which were more or less written factory style for the circulating library market) more. The libraries liked to be able to count a single novel as three separate loans, and this drove the Victorian novel into its 3-volume norm. Mudie’ Select Library undercut the competition when they opened in 1842 fixing their price of one guinea a year at about a quarter of the usual price. This represented half the price of the normal three-decker novel. For many avid readers this was the only way to go. By 1890 Mudie’s had about 25,000 subscribers. The company was rather strait-laced and used its purchasing power to ensure that publishers didn’t allow any racy content in their novels. As their publicity material said “Cheap Reprints, Serials, Costly Books of Plates, Books of merely Professional or Local Interest, and Novels of objectionable character or inferior ability, are almost invariably excluded.” Trade publishing pretty much danced to their tune. W. H. Smith & Sons started out with kiosks on railway stations but quickly developed lending libraries too. They didn’t close the last one till 1961. Boots the Chemist soldiered on till 1966. UsvsTh3m describes their set up. I can remember returning books to Boots in the fifties with my mother, and can attest that at least the one in Galashiels didn’t look as stuffy as the pictures they show. The decline of the circulating library coincided with the development of the cheap mass-market paperback, but in a formal sense, it was the Public Libraries and Museums Act 1964, with its requirement that local councils lend books for free, that killed them off. Prior to that not every council did provide library service. There are still a few active subscription libraries in Britain and America, among them the Mercantile Library, in New York City which now trades under the title “The Center for Fiction”. I was once briefly a member. Many of the remaining examples are associated with learned societies. According to Walker Rumble in his The Swifts: Printers in the Age of Typesetting Races, 2003, jeffing might also be resorted to in deciding which journeyman would get the tough project and which the easy one. This is basically a very simple operation. You just take one piece of type after another and arrange them into lines. The hard bits are how do you keep the line of type from falling apart and where do you get the type from? The composing stick has basically remained unchanged since early days. Modern ones are slicker with springs and markings, but they perform the same function as they always have. You take your manuscript and start at the very beginning, placing the first character upside down at the left hand end of your composing stick. You will have locked the sliding left-hand edge piece at the measure (line length) called for in the job specs. 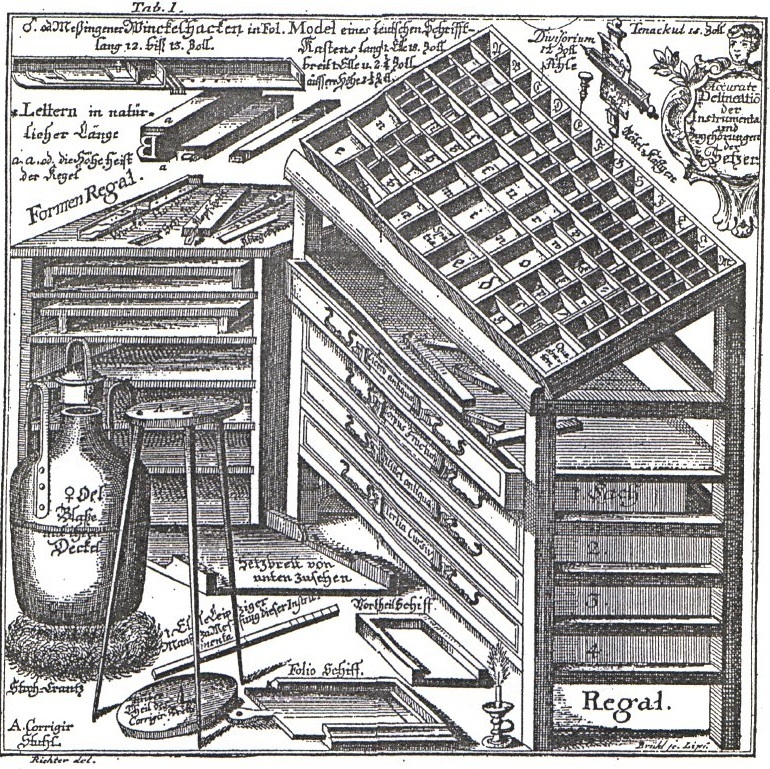 (Early composing sticks tended to be built for a fixed measure.) The next character will go next to it. The nick in the piece of type goes upwards and is what you’ll use as your guide. If there’s a paragraph indent at the start, as in this illustration, spaces will be what you first set: these are just lower bits of type metal which won’t get inked or printed. Similar spaces will be used when you reach your first word space. Once you’ve done your first line, you may need to adjust the word spacing throughout the line in order to fill the measure. And now you are ready to start in on your second line. Composing sticks hold several lines. After you have filled the stick, the type will be (carefully) transferred to a galley tray. Repeat ad infinitum. Where does the type come from? Immediately it comes from your type case. This illustration shows an eighteenth-century German type case. It appears to hold both upper and lower case letters (Caps across the top). Lying on the floor in front of it are galleys (Schiff in German) and at the top left a sizable composing stick is shown. But before it got to your type case the type had to come from one of two sources. The most common source would be from the printing press. After a job was printed, the type would be distributed. That is it would be sorted into the little compartments in the type case ready for reuse. And this would tend to be your job, as compositor. The first thing a typesetter would do on getting to work in the morning would be to distribute yesterday’s type back into his type case. The type case had compartments of different sizes depending on the frequency of occurrence of a character. Lower case “e” is the most common in English. It seems to be even more common in German, though the illustration makes that a bit hard to judge. But Wikipedia has an entry showing the relative frequency of letters in various languages. You can go down a rabbit hole studying this if that’s your mindset. But before the type could come from the pressroom, it had originally to be bought from a type foundry. There used always to be a neighborhood type foundry, but now that letterpress has receded to a dilettante and specialist operation they are few and far between. M & H Type in San Franciso (part of the Arion Press in the Presidio) is one of the few remaining in operation. They have large numbers of fonts available for immediate shipment, and whenever they have a lull in their workflow, they can cast yet more depending on demand.